Side shows and attractions are an essential part of any event. We offer a wide range of hireable attractions including. duck shoot, junior crossbows, coconut shie, crockery smash, gunk tanks, jousting poles and much more. Our Sideshow games and activities are what events are all about. In addition to our range of inflatable amusements we also provide a range of fete games and sideshow activities to hire ideal for all types of outdoor events, fetes and shows. 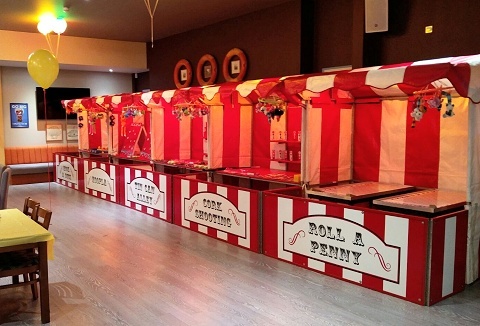 Keep the fun going with our range of fete stalls and mini games ideal for fetes to fundays. 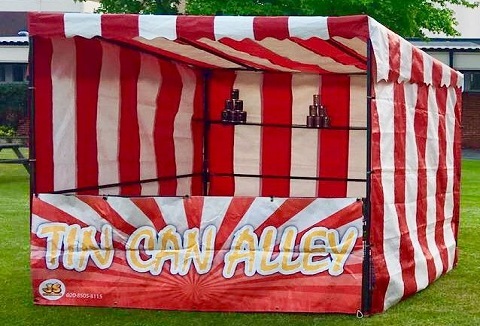 Traditional side show stalls include coconut shy, hook a duck and hoopla to our mini games that still promise plenty of amusements from buzz wire to crazy golf. 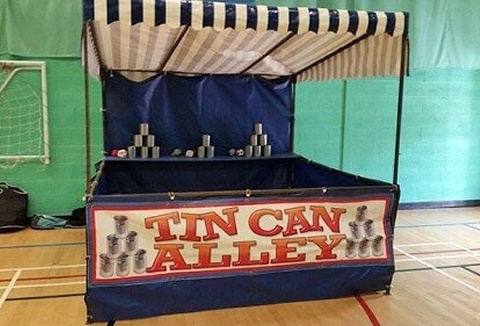 What ever the event here at Funday's we have a wide selection of side stall entertainment to keep your visitors entertained; traditional hook a duck, coconut shy, hoopla and ball in a bucket, to a western theme of cork shoot, cactus lasso or tincan alley. As a family run business we pride ourselves on offering only the very best in children’s rides and leisure hire equipment. Our side show & fete games will keep young & old entertained, from penalty shoot out to test your strength with traditional striker. Family run event hire business offering a complete fun filled package with a range of unique activities for hire suitable for all age groups; inflatable football shootout, garden games, 9 hole crazy golf excellent for fundraising, corporate and parties. 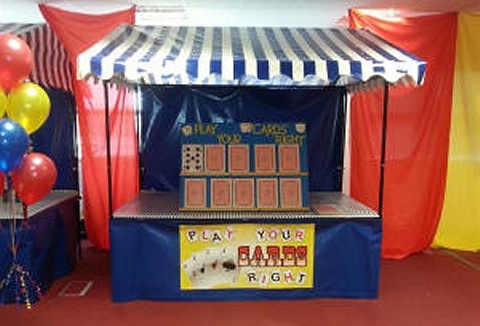 Keep visitors entertained is easy with our range of fairground side stalls & fund raising games; fun fair mirrors & theme photo board will keep them laughing whilst our range of side stalls will be testing their skills. 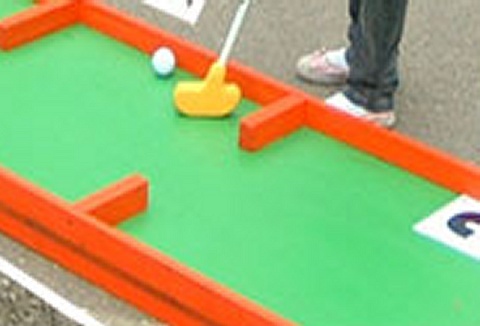 Wooden skittle alley & crazy golf. Whether you are organising a public, private or corporate event we're sure you'll find everything you need to keep your guests entertained. 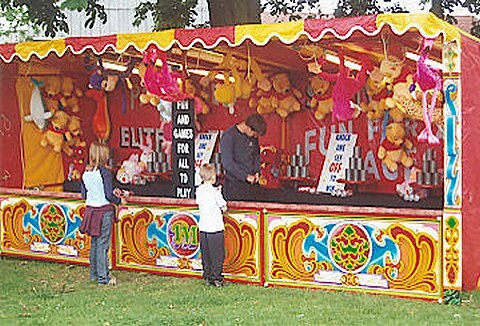 We own, hire and operate traditional fun fair stalls; coconut shy, crazy golf, high striker, hook a duck and more. Hire your funfair rides, side stalls, fairground rides and other funfair attractions at competitive value-for-money prices from the UK's dependable funfair equipment hire specialist. 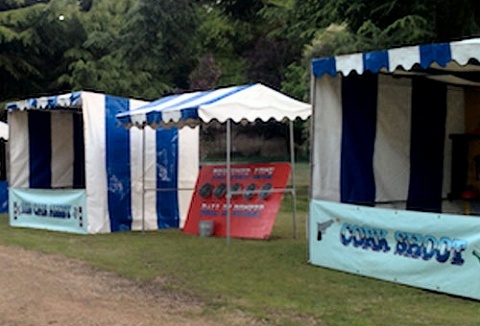 Coconut shy, darts & cork shooter stall, hook a duck & tin can alley.